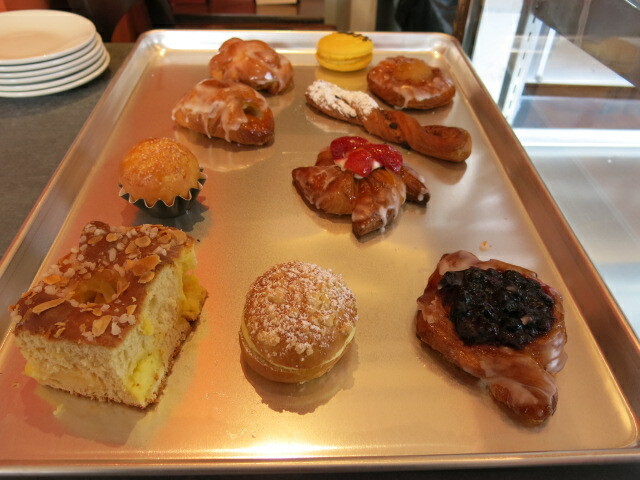 “Bakers & Baristas opens tomorrow, Thursday, January 22nd. Their hours will be from 7am-6pm. On Thursday, February 5th they will open for full hours from 7 am to 11pm. 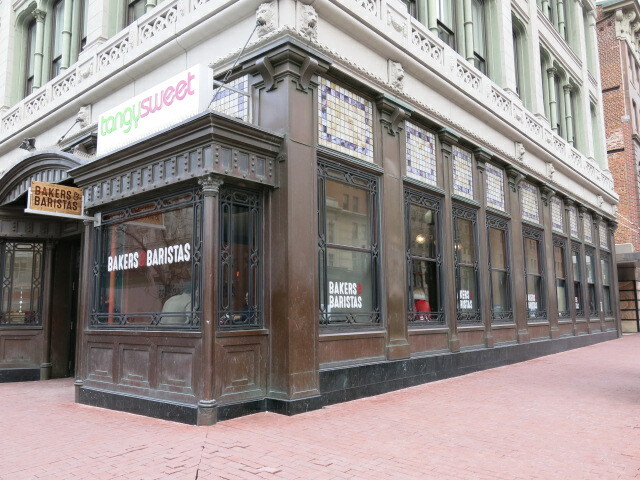 Aaron Gordon of Gordon Restaurant Group is pleased to announce the mid-January anticipated opening of Bakers & Baristas, a Viennese-inspired coffeehouse and bakery, which will occupy the former Tangysweet Yogurt Bar space at 501 7th Street, NW, 20004. Notable Washington pastry chef Naomi Gallego will act as a consultant for the project, and Lindsay Meehan will serve as executive pastry chef overseeing the day-to-day operations. 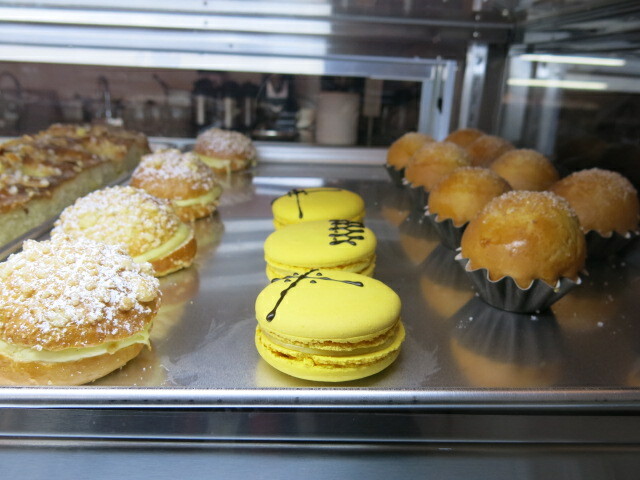 Bakers & Baristas will create exceptional pastries and tortes using high-end ingredients such as Madagascar vanilla, locally raised eggs, European butter and Valrhona chocolate. Artisan roasted coffees from Compass Coffee will also be served with freshly whipped cream offered as well. At lunch, simple sandwiches served on fresh house-made rolls will be added to the selection of pastries, and in the evening guests can enjoy Viennese style desserts, such as cheesecake and sacher cake, savory turnovers and artisan coffee. Coffee aficionados can expect to see a rotating list of seasonal, single origin coffee from independent and locally roasted Compass Coffee, with prices ranging from $2 to $4. Gordon has tapped Naomi Gallego to serve as a consultant for Bakers & Baristas. Gallego has over twenty-two years of experience working in acclaimed restaurants and four-start hotels in the USA and Germany; she also currently serves as the executive pastry chef of the award-winning Blue Duck Tavern within the Park Hyatt Washington. Lindsay Meehan will oversee the day-to-day operations as executive pastry chef. Meegan graduated from The Culinary Institute of America with a Bachelor’s degree in Baking and Pastry Arts. She gained much of her professional experience in various bake-shops including “Best of Philly” winner, Sweet Jazmine’s in Berwyn, Pennsylvania, and at Sweet Eats Bakery of Vorhees, New Jersey, where gourmet cakes and confections were her focus. After focusing her efforts perfecting the world of cakes, Meegan brought her award-winning decorating skills into the big world of small cakes, cupcakes. In 2012, she made her way to the nation’s capital to begin working at Gordon’s sister concept Red Velvet Cupcakery. Meegan will continue to oversee the cupcakes at Red Velvet in addition to managing the confections at the new Bakers & Baristas. 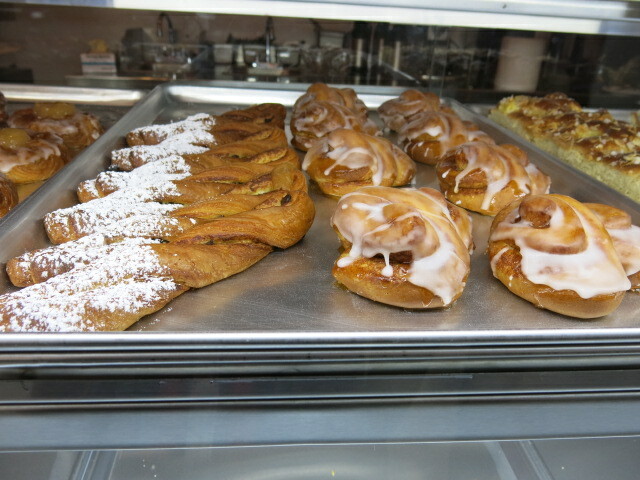 Bakers & Baristas will offer six to eight varieties of freshly made Danish pastries including morning buns and Kringles. For lunch, guests can enjoy six rustic sandwiches made with freshly baked house-made bread. Three sandwiches will be vegetarian, and one will be served on gluten-free bread. Opening selections planned include Cherry Pistachio Braid Danish; Danish Pockets; Cheese Pretzel Danish; Butterkuchen; Brioche Streusel Bun with citrus filling; Viennese Finger Cookies, as well as Vanilla Kepferl. A variety of tarts, torts, and savory turnovers will also be available for guests. Pastries will be priced from $2 to $6 each; sandwiches and turnovers will be priced from $6 to $8 each.